former chairperson of Dutch anti-apartheid solidarity group Azania Komitee. 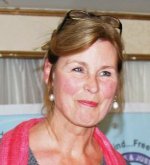 Marjan Boelsma has been associated with Umtapo Centre since 1992. Marjan’s political activism spans through 36 years of rigorous action for a more just world. She received UMTAPO’s Steve Biko International Peace Award in 2010.
is the founder of Interfaith Community Development Association (ICDA), an agency which has since 1991 pioneered and promoted community organizing and community conflict resolution in South Africa. In 1978, Ishmael was the founding chairperson of the Azanian People's Organisation (AZAPO). 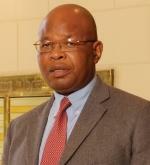 Mkhabela chairs the boards of a number of trusts and companies including the Steve Biko Foundation. 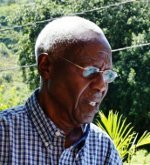 He received UMTAPO’s Steve Biko International Peace Award in 2002.
has been at the University of Nairobi for many years in various positions from Dean to Head of Department of Extra –Mural Studies. He has been adviser to various Ministries of Education on the African continent, a founder member of the African Association for Literacy and Adult Education, and former president of the International Community Education Association. He received UMTAPO’s Steve Biko International Peace Award in 2003.